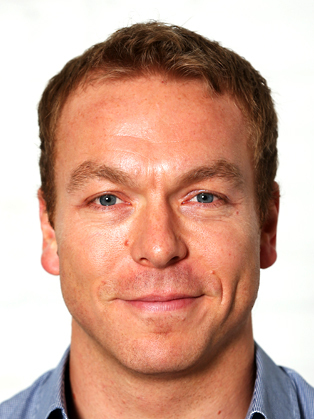 Sir Chris Hoy MBE, multiple world and Olympic champion track cyclist, was born and raised in Edinburgh and has been competing in various sports since the age of seven. He raced BMX until he was 14 years old, becoming Scottish Champion and ranking second in Britain and ninth in the world. Chris also rowed and played rugby for his school, George Watson’s College, throughout his teenage years. He rowed for Scotland as a junior, winning a British Championship silver medal in the Coxless Pairs. As a senior, Chris turned his attention to track sprint cycling and in 1992 he joined his first cycling club in Dunedin. Two years later he joined The City of Edinburgh Racing Club, the most successful track club in Britain, and since 1996, the 34-year-old has been an integral member of the Great Britain National squad. He won his first world medal in 1999 – a silver in the Team Sprint – and has won 11 world and two Commonwealth titles to date. As well as his sporting achievements, Chris has a BSc Honours in Applied Sports Science from the University of Edinburgh. In 2005 he was awarded two Honorary Doctorates – one from the University of Edinburgh and another from Heriot-Watt University. He was also awarded an MBE in the New Year Honours List. In 2009 he was awarded an Honorary Doctorate from the University of St Andrews. Chris’ achievements throughout his career make him Scotland’s most successful Olympian, the first Briton since 1908 to win three gold medals in a single Olympic Games, and the most successful Olympic male cyclist of all time.